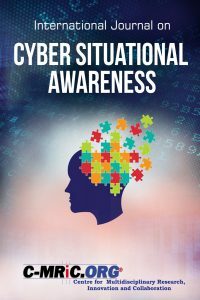 The International Journal on Cyber Situational Awareness (IJCSA) is published twice a year. It has two issues per volume. The first issue per volume call for manuscripts starts from February to August, and is published in November. The second issue per volume call for manuscripts starts from August to February, and is published in April. Submission for manuscripts to IJCSA Vol. 4, No. 1, 2019 is now open. Submission will close for Vol. 4 No.1 2019 by August 31, 2019. The expected timeline for publishing IJCSA Vol. 4, No. 1, (2019) is November 2019.